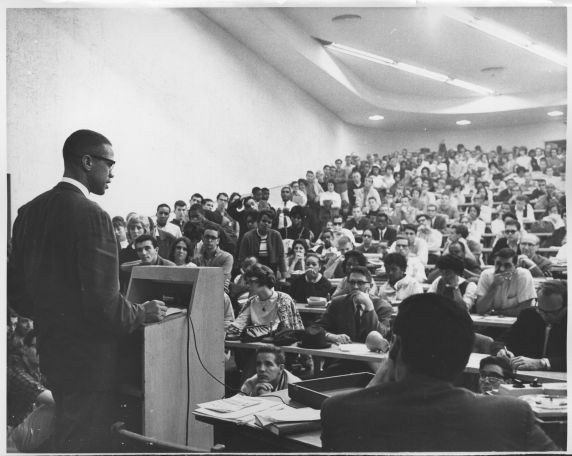 Student pack into 101 State Hall to hear a lecture by Malcolm X. The focus of the lecture was on the aims of the Nation of Islam. A warning regarding future race wars was also given: "We are not afraid to go to jail or afraid to take the life of those who take our life. We believe the fair exchange. This is the price of freedom, and we are prepared to pay the price."